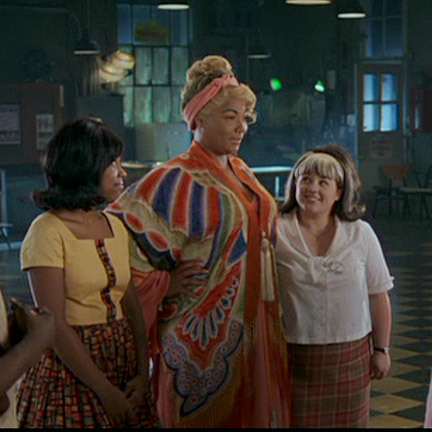 This garment was worn by the character “Aunt Zena” portrayed by actress Shirley MacLaine in the 1990 film “Waiting For The Light”, as well as the character “Motormouth Maybell” portrayed by actress Queen Latifah in the 2007 motion picture “Hairspray”. 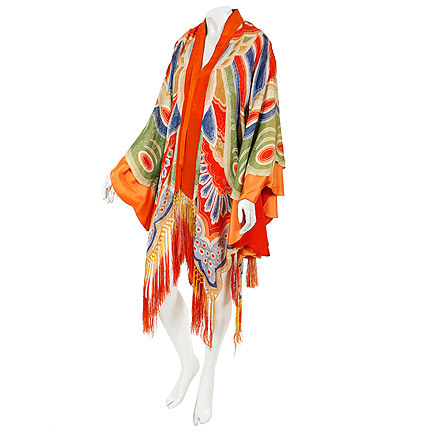 Leslie Ann Warren also wore this coat in a photo shoot in 1971 with photographer Bert Stern. 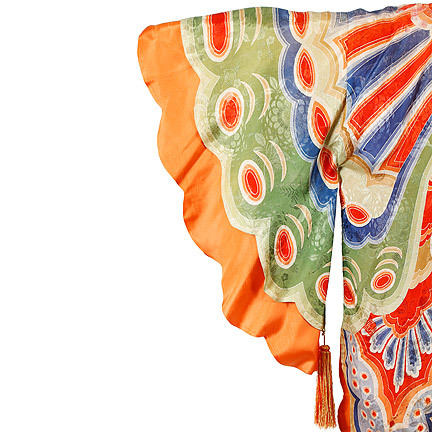 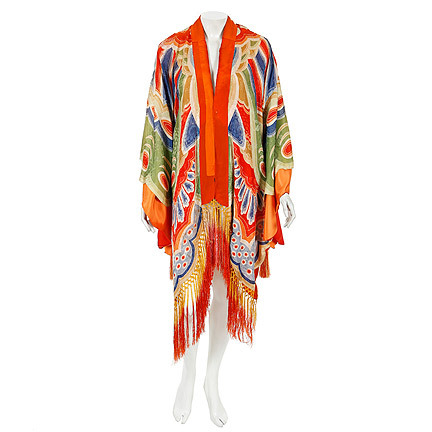 This vintage orange rayon piano coat has blue, green, and butterfly tan print with long braided fringe trim. 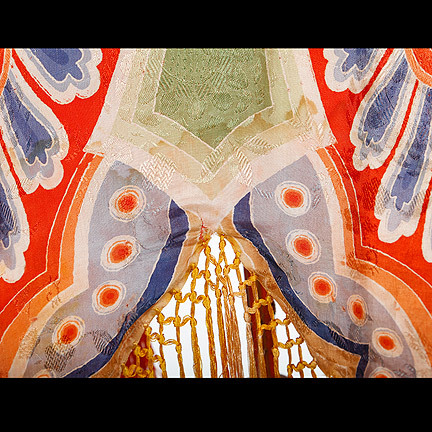 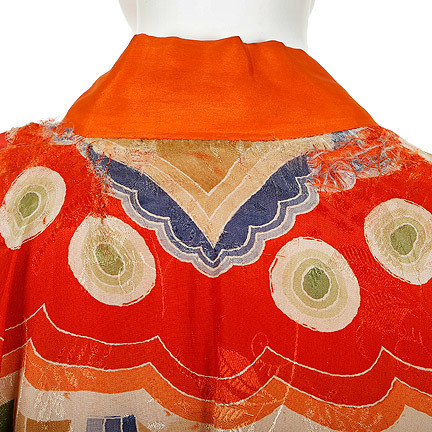 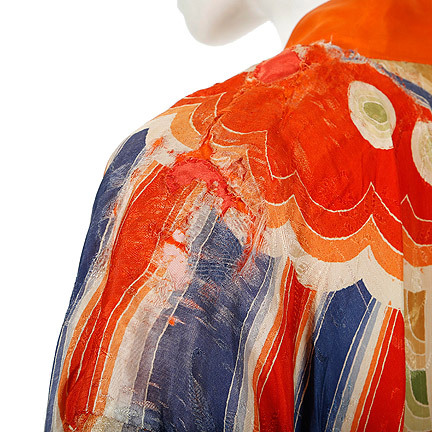 The shoulders and neckline have been repaired and the fabric is fraying, small stain located on hemline, and the fringe trim was added for use in this film. 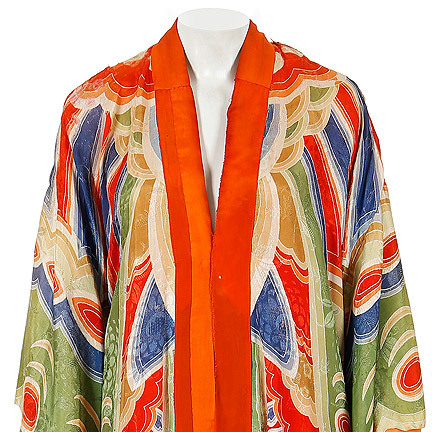 In “Waiting For The Light”, Ms. MacLaine, as “Aunt Zena”, an eccentric stage magician and mentor to her young niece and nephew, wears this coat in several scenes throughout the film. 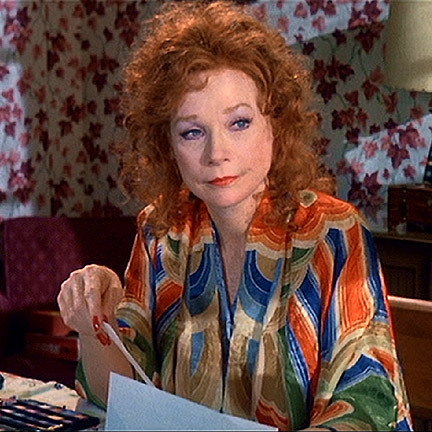 Most prominently, Zena wears the coat on the morning when her sister, “Kay Harris” (Teri Garr) discovers that their uncle died and left them his diner out in a small country town. 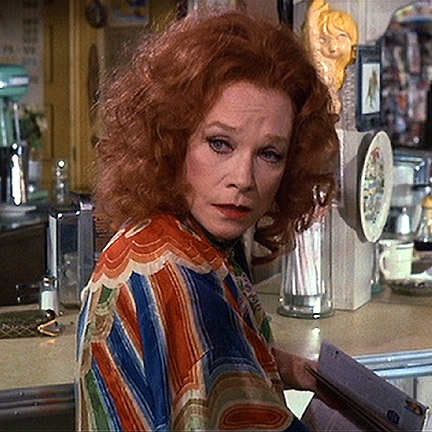 Together, Zena and Kay decide to move Kay’s kids out to the country and take over the restaurant. 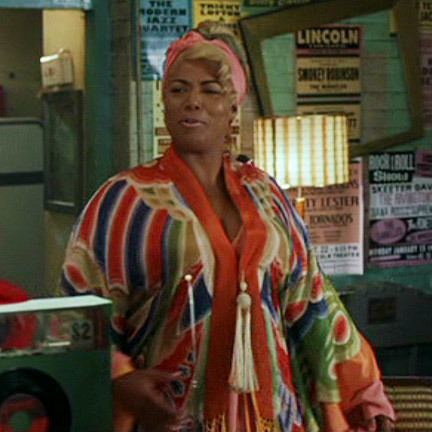 In “Hairspray”, Ms. Latifah wears this coat late in the film when “Tracy” (Nikki Blonsky), “Penny” (Amanda Bynes), “Seaweed” (Elijah Kelley), and their friends hide out from the police in Maybell's record store. 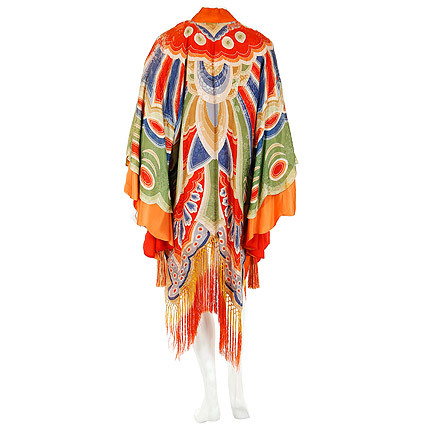 This garment is in fair vintage screen worn condition and is accompanied by a letter of authenticity from the costume house.